Automotive builds Got an automotive build you want to want to document? Post it here! 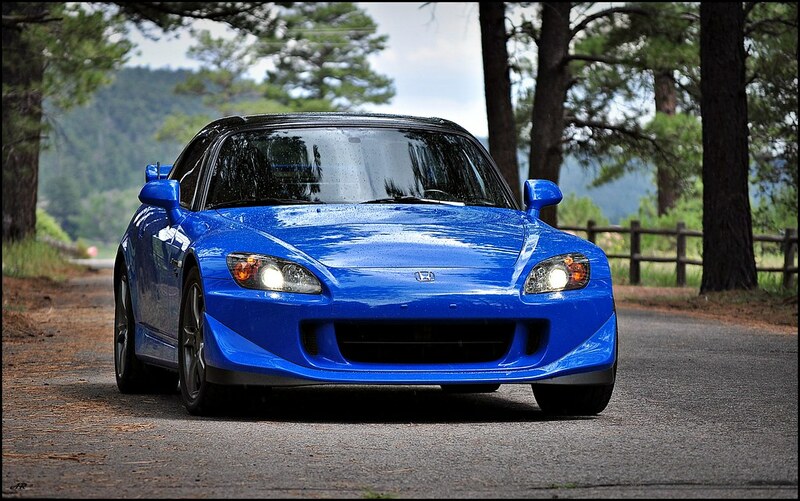 Finally decided after 4 years of S2000 ownership and starting lots of threads I would just make an official build thread/timeline that I can update. I wrote some lengthy paragraphs and also just posted up my favorite pictures as sort of a timeline. I don’t have stories or detailed pictures of everything, but I think this post captures my time with the S2000. I hope to have plenty more to share for years to come! This car and website have been a huge part of the last 4 years of my life. I got engaged with the S2KI community while living in NC and learned a great deal about what the community was all about. Then I attended a small meet once while living in PA. Once I moved to AZ I was pleased to find there were 2-3 meets a week and an enormous and enthusiastic following in AZ. 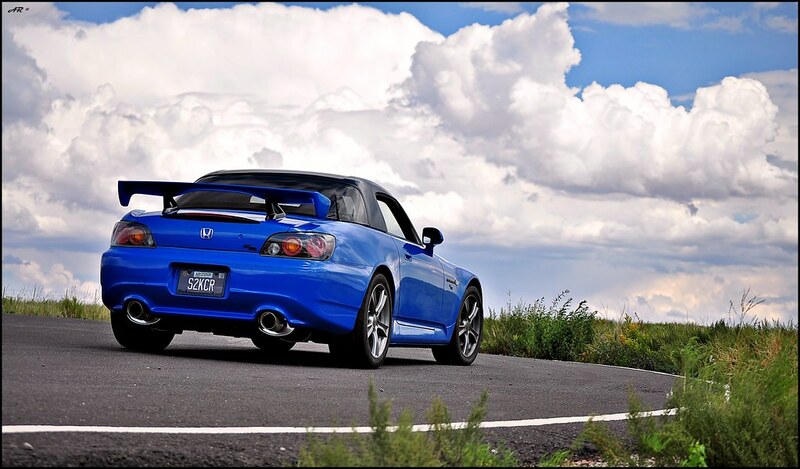 I went to HCII in CA, had the opportunity to drive a JDM S2000 on the Nurburgring, autobahn and German country side. I have driven some of the best roads on the east coast, and I am now doing the same thing out west!! I have done a few track days, daily driven, and now semi garage queened my car. I think I need to now just hit an autocross and I have done it all with this car! I came from owning a 2002 Subaru WRX with every suspension bolt on possible including STI control arms, STI steering rack, STI brakes, JDM 5 speed etc etc. I had that car for over 7 years and got to the point of it being a money pit and I wanted a car that was more enjoyable to cruise in, and would also challenge my driving skills and make me a better driver. 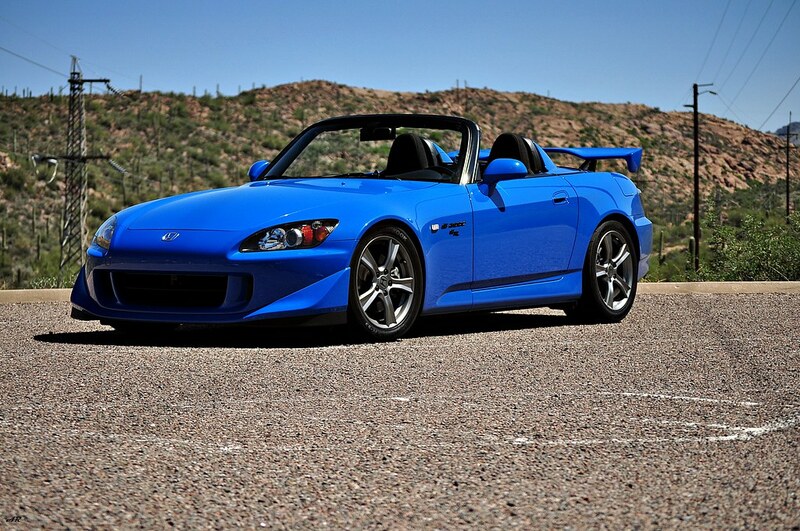 I drove a 2001 S2000 back when they first came out and I was much younger then and not ready for a car like that. I was unable to appreciate the engine/drivetrain and a Subaru made more sense because I lived in Pennsylvania and had to deal with winters. As I grew older and did a few track days in my Subaru I came to the realization that what I was craving was a more pure driving experience. 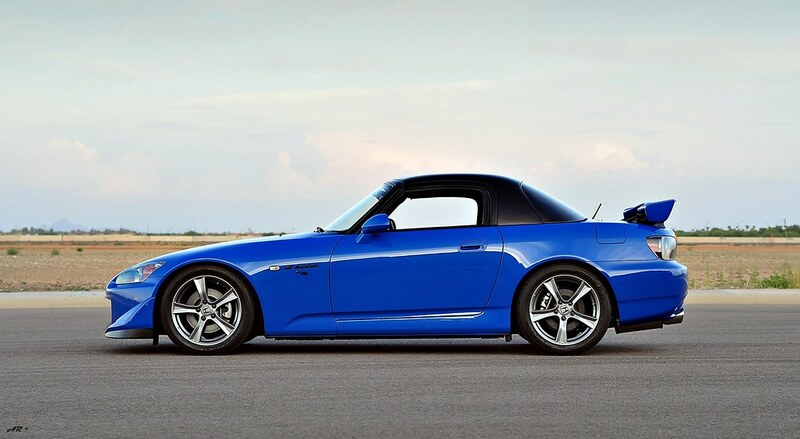 I once only thought a car with power and torque was the way to go, but I started re-searching S2000's. I realized it was a very pure drivers car, and required A LOT of skill to drive quickly. It also would allow me to not waste my money on bushings and bracing. 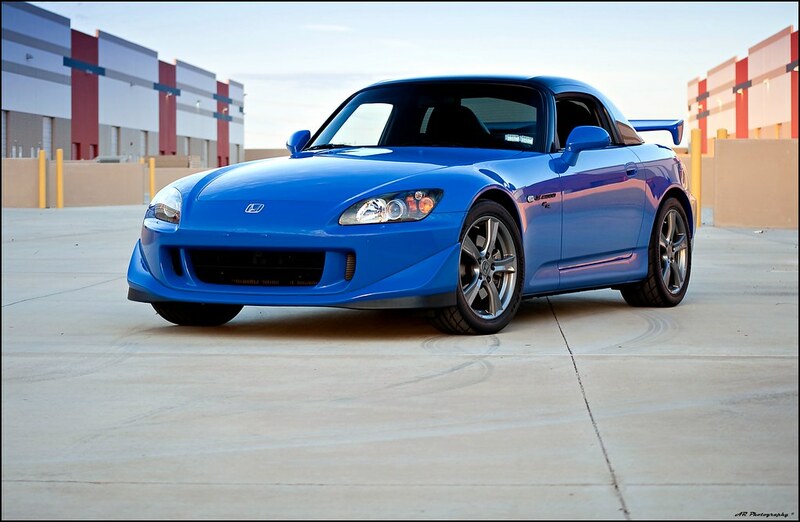 The S2000 was the right car right out of the box and did not require a bunch of mods to feel right. IT was a purpose built sports car! Out of college I moved to North Carolina and decided to start my new life with a new car. 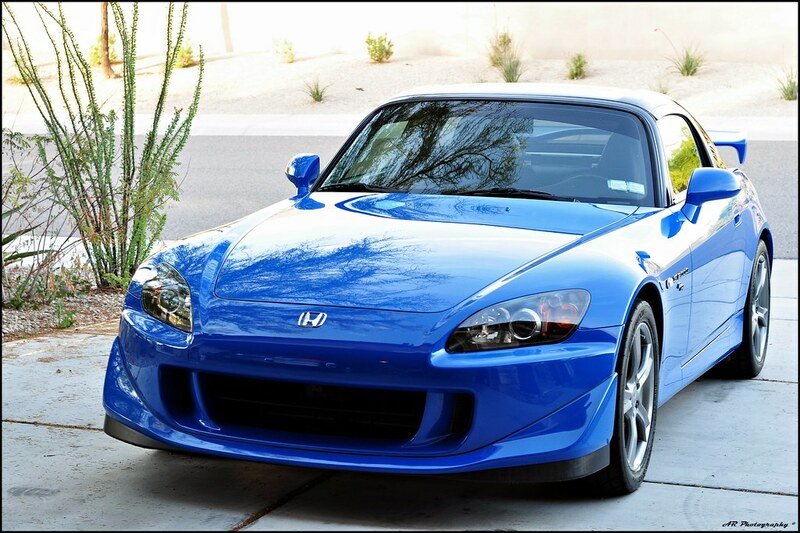 I had been dreaming about getting a S2000 for a few years and at that point but had to wait until it made sense. 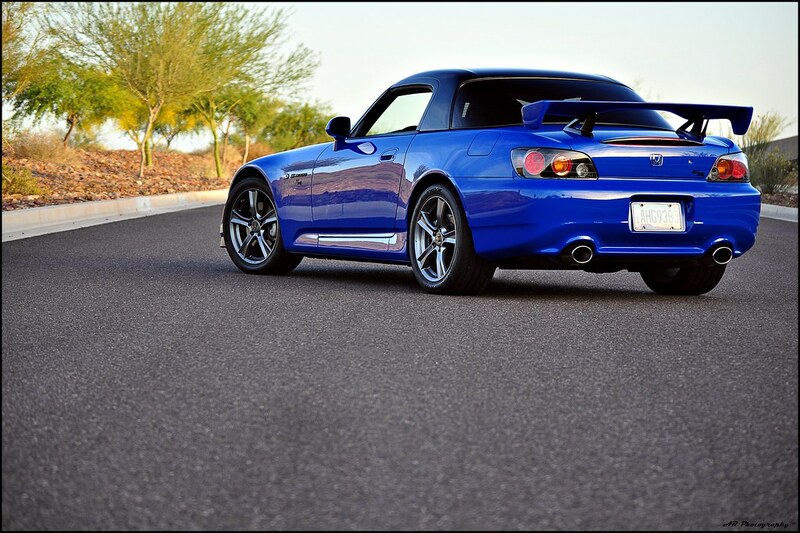 So my S2000 obsession began. I knew I wanted an AP2 and test drove a BB 06 but I really wanted a white car of course. The black looked awesome, but I knew it would drive me crazy so I passed on it. I ended up finding a gorgeous Silverstone on the other side of the state and made arrangements to go see the car. I actually rented a car, drove from Charlotte NC to Raleigh to pick my friend up who decided to fly down and buy my Subaru from me. 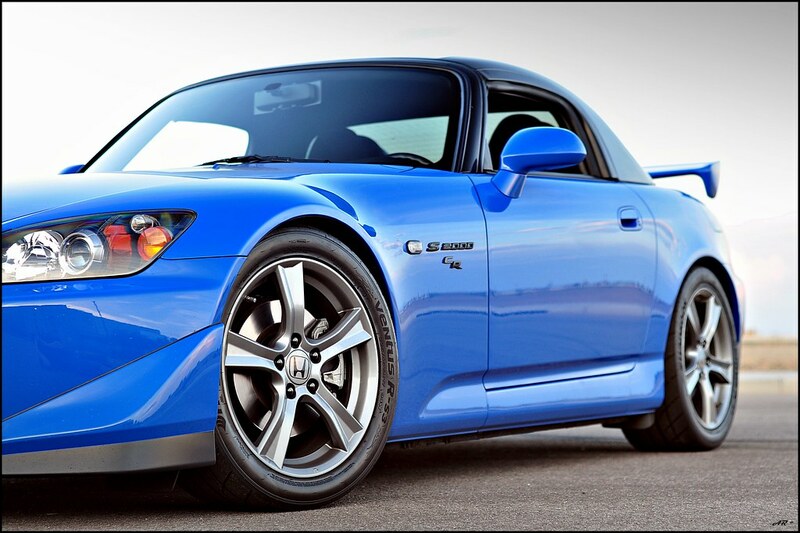 We went and checked out the S2000 and I was in love. I already knew what I was getting into, but was very excited to have one of my own. I bought the car, 2004 Silverstone red/blk AP2, returned the rental car, then embarked on a 4hr road trip to the beach to visit some friends. The car originally had 46,000 miles when I bought it. I put almost 1000 miles on my S2000 the first weekend of owning it, and had an amazing sun burn to match! The car was a slow build in progress as I ended up getting laid off, moved back to PA, then ended up moving to AZ to start over again. Over time the car progressed and I stuck with my original vision and build plans. No multiple wheels, exhausts, etc. I saved money and always focused on the end goal and here is what that build ended up looking like. 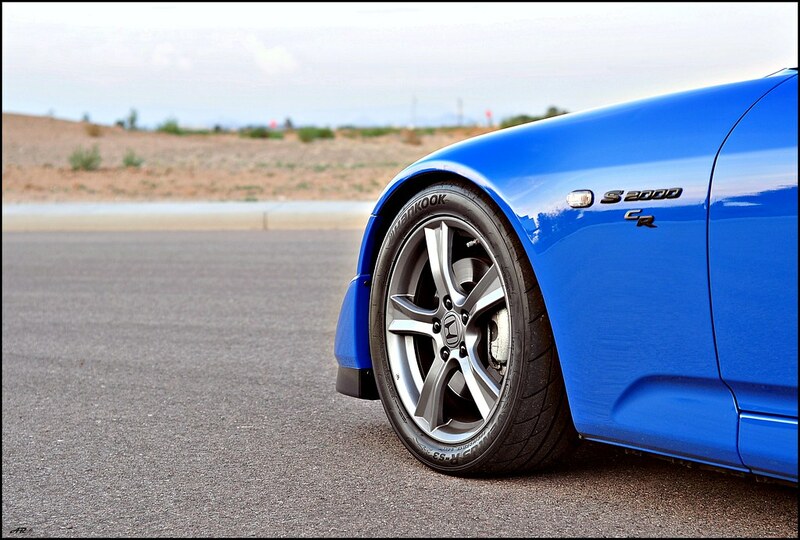 Alignment is custom, -2.0 degrees front camber, 0 toe, -3.1 degrees rear camber .30 toe in. Here are some of pictures with the S2KI family from when I lived in NC and did a Blue Ridge Parkway fall drive. This is after I moved to AZ. 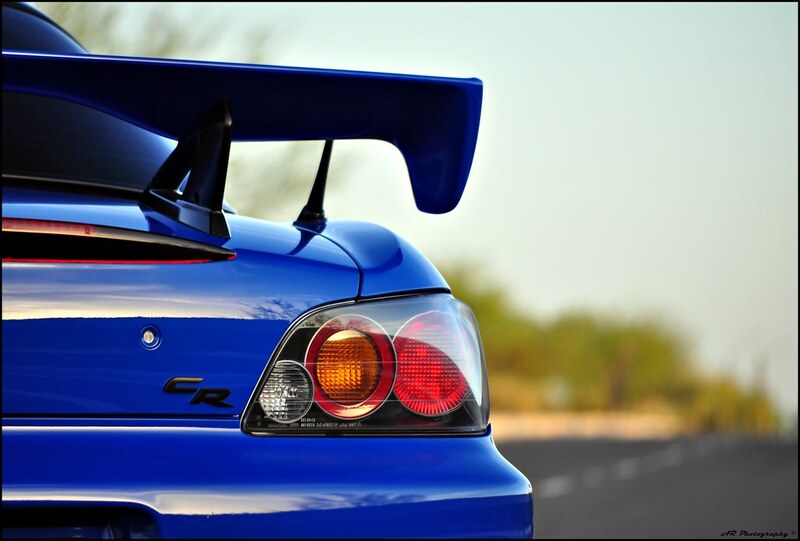 This is when I really become S2000 obsessive, and also began doing more and more photography. I got more serious about photography and began reading books and picked up my first DSLR - Nikon D90. Car in its final state. My second to last big event with my 2004 S2000. I attended Homecoming II with a large group from Arizona. I got the car to this point which was my vision all along. I wanted a CR front lip, maybe spare trunk/wing for the track, and I wanted to be able to tune the car and lower the VTEC engagement point. At this point the car was at 76,000 miles and I knew that I wanted to keep a S2000 forever. I also wanted to refinance my car. After a lot of thinking and drooling over the S2000 CR I decided to put my car up for sale and see what happened. 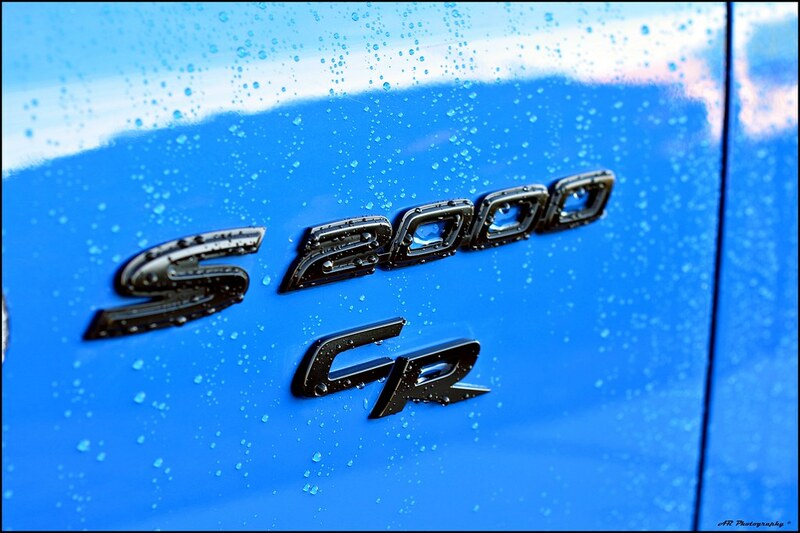 If I got the money I wanted then it was a sign and I would sell the car and buy a CR. If not, I would stick with what I had and continue the build. Well to my surprise and after a lot of interest I sold my car for what I considered my unicorn price and it all happened so quickly I did not have another S2000 lined up. It took 6 weeks to finally just pull the trigger and buy a car. I was struggling to find exactly what I wanted and find a car that I was willing to pay for. I also got close to buying a non-cr and also giving up entirely. I finally found a car that seemed good enough and took a giant risk and bought the car without ever seeing it. It was winter time in St. Louis so I paid to have the car shipped to AZ. I also did not have the funds to fly out just to look at it and not drive it back. The weather in St Louis was in the teens with snow and ice so driving the car back was not possible. 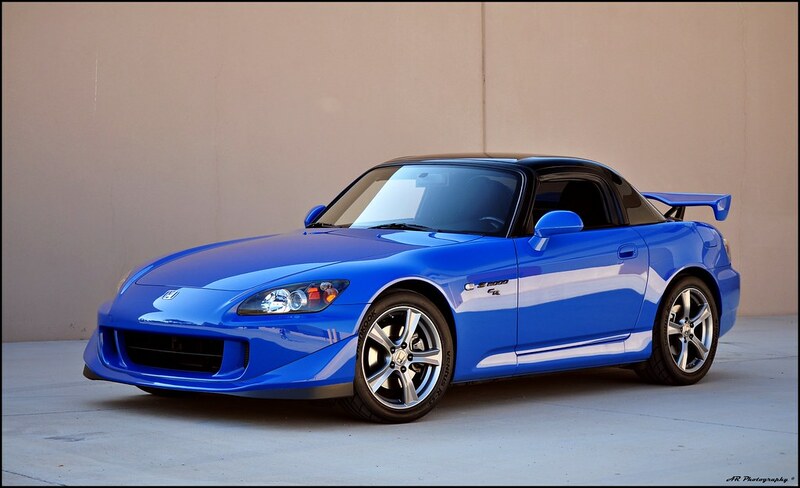 The car I bought was a 2008 Honda S2000 CR in Apex Blue Pearl. It was certified and inspected by a Honda dealership. I wanted white but also was in love with the blue. I also decided that ABP was the official color of the CR and was Uehara’s favorite color which was pretty cool to me. The car had 18,611 miles when I got it. I was hoping to nab something with fewer than 10k miles, but I was willing to take a car with under 20k miles if the price was right which it was in this case. The car was in rough shape by my standards which really upset me. Car had some minor door dings, scratches, and some interior panels were scuffed. Paint had swirls everywhere and looked very bad. Part of me wanted a pristine CR and the other part of me wanted a car that I was going to track and drive hard. I contemplated sending the CR back to the dealer as I felt it was not in the shape that I expected and was told it was in. I inspected the car mechanically and it was in great shape, felt super strong, and imo the important stuff was all there and 100%. Cosmetically though it needed work. I was able to negotiate with the dealer and get a refund check to fix/replace the imperfections in the car. I went to my local Honda dealer and bought a new shift knob and a couple other interior panels that were gouged and scratched. I had all the small dings removed, swapped all the fluids, and replaced the mismatched front and rear tires with a set of RS3’s, and set out on a 20hr+ detail inside and out. To most the car I bought still looked good when I bought it, but I had my hopes set on a pristine car so I decided the best course of action was to not spend money modifying the car, but restore it and bring it back to as close to brand new as I could. A car like this should be treated well and that helped me make my decision that I would not give up on the car. Instead I would bring it back to its glory days. As I do with all of my cars, I drove the CR stock for one year. I find it important to own and drive a car for a long period of time before modifying it. I am not into cars just to modify them. I do certainly enjoy enhancing and building upon what is already there, but I like to take my time and evaluate the car and how I use it before just buying parts and changing my mind later on. I am the type of person that over thinks each purchase, and I only do it once. 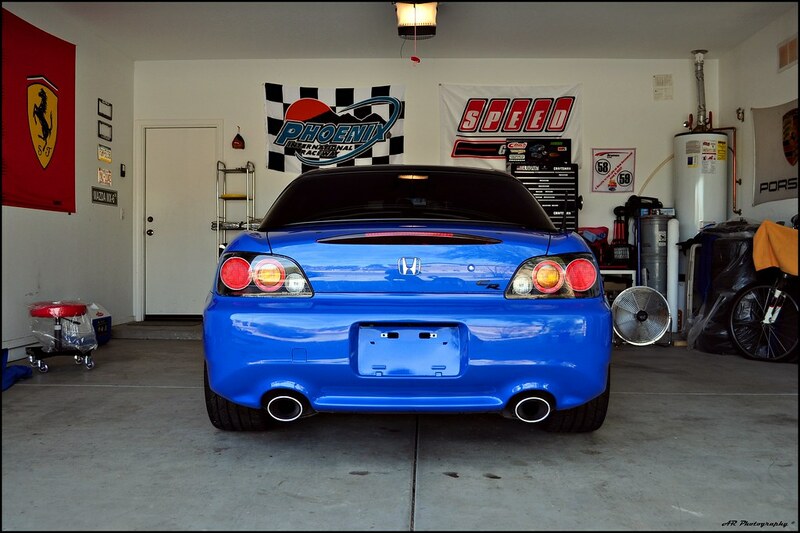 I had the same exhaust on my Subaru for 7 years, and with my S2000 I plan on again only buying a type of part once. Long story short, the exhaust on the CR is my same exhaust that was on my '04. My '04 was apparently wrecked and parted out and I was able to buy my old exhaust back!! That is how much I loved it and because I spend so much time polishing the blue tips off, I wanted it back. Below is the mod list as my car sits today. I completely pamper and baby this car and clean it every week. That said though, when I do take the car out and drive it, I DRIVE IT. So while my car may always look clean and like its never used, that is only because after I use it, I clean it!! I take great pride in keeping the car as immaculate as I can, but like I said I have no problem driving it hard and using it like it was meant to be used. I have modified most areas of the car, and in some cases done very small things to personalize it. I feel my car is very well rounded and complete at this point. I would call this my “Stage 2” build, nothing extreme or over the top, just small subtle changes and enhancements. Something that always bothered me was that the corners on the rear bumper were not flush with the tailight and quarter panel. After some research I found out that its very common, and very easy to fix. I took my tail lights out, pushed the bumper in until fitment was flush, and then used metal self taping screws. I drilled through the plastic bumper tabs and into the metal bumper support. 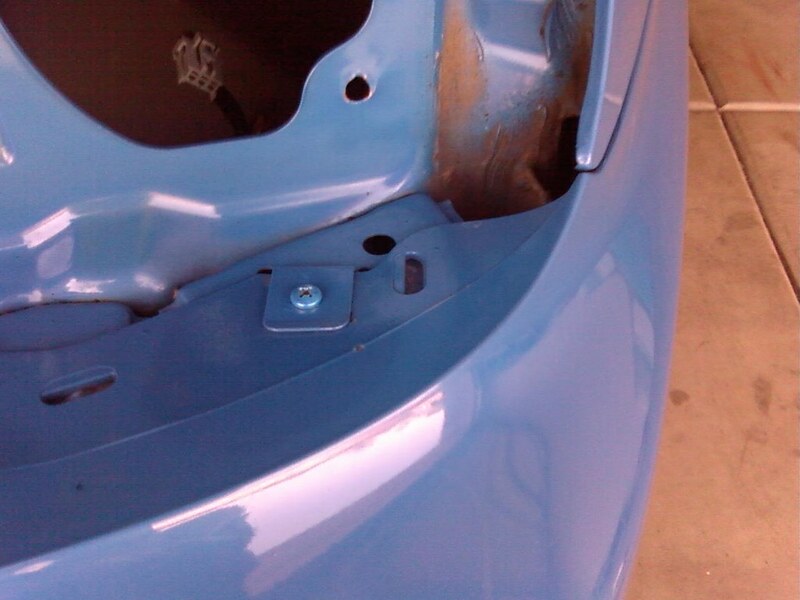 To finish it off I painted the screw heads with my ABP touch up paint so it looked more oem. A quick picture while on a road trip of the Modifry roll hoop speakers. These were a time consuming install, but worth every penny and hour. 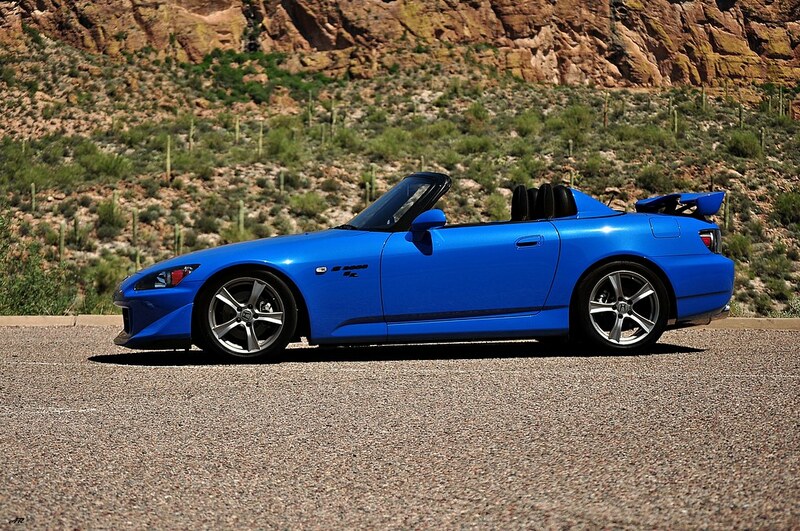 The S2000 is not known for having a good stereo system, but these little speakers pack a big punch. They really fill the cabin top on or off with some solid sounds. Very good mid to high range. I installed in line bass blockers as well to eliminate any low bass frequencies. Took my car with a large group to Las Vegas Motorspeedway. 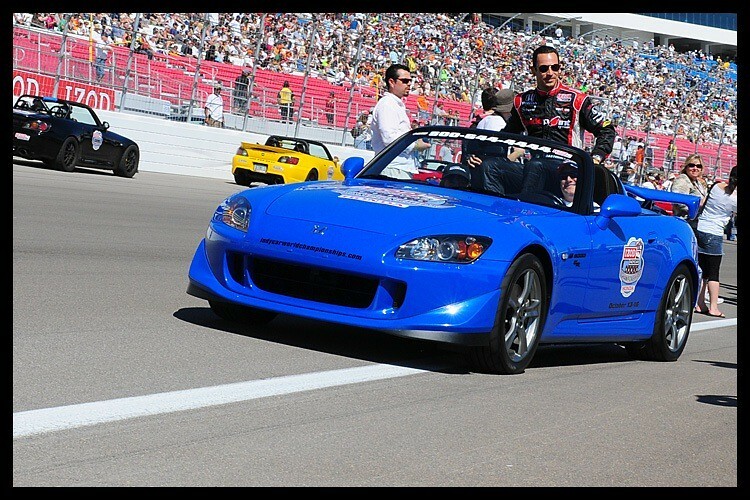 We had the opportunity to do a parade lap with Indycar drivers. I ended up getting Helio Castroneves. The final clean pictures are in the next post. Here are some photos and video of me taking my first lap of the Nurburgring. I was fortune to meet 34witt and I now have a lifelong friend. He let me drive and use his JDM S2000 while in Germany and had one of the most memorable experiences of my life. Picked up a new daily driver so I could park the S2000. 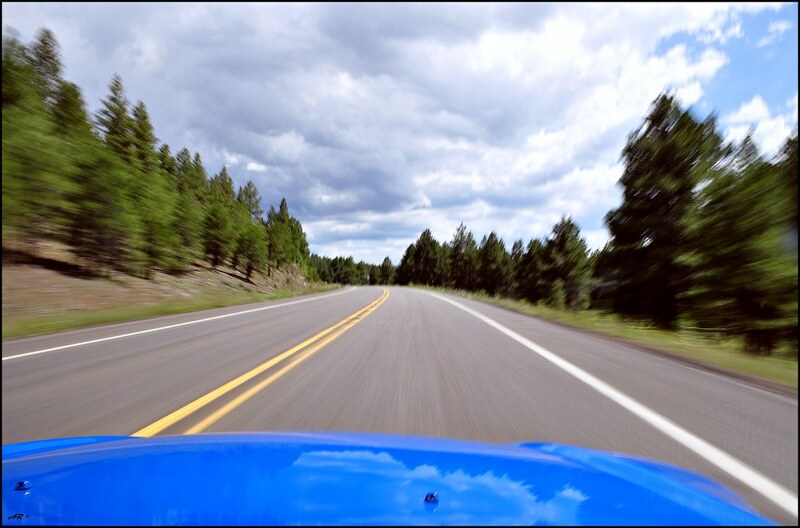 Took a blast through Northern Arizona. Finally after a lot of internal debate and research I bought and installed a set of Swift Spec R Springs. 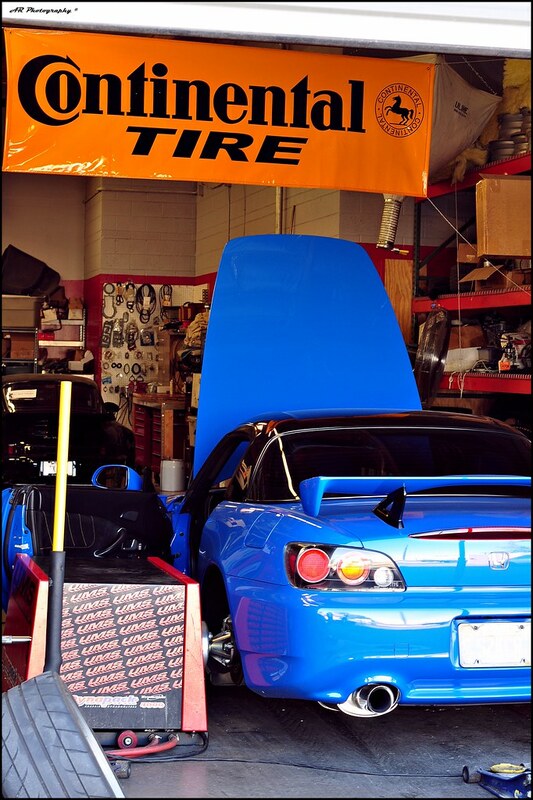 They were designed specifically for the S2000 CR. Here is my review on the springs taken from the Swift Spec R Review thread in the CR subforum. Anyway, Swift Spec R from Kami Speed. $299 shipped and they get drop shipped from Swift USA in CA, so I got them in 3 days . Had two friends come help me with the install and took about 2hrs. Swift claims these will lower your car 1.25 inches front and back. I measured 1.2 in the front and just about 1 inch in the rear the day after I lowered the car. I think the car sits perfectly now and is exactly how the CR should have come, but maybe not quite as low in the front. I think I may rub under heavy cornering but we'll see. I will be maxing out the front camber (-1.5-2.0) so that should help. Car feels very stockish, but more compliant and absorbs bumps better. The car is certainly less jarring and rough over road imperfections, that said I feel the car lost a little of its personality, but that is not necessarily a bad thing because the ride is improved. I have not noticed any difference in the feeling of the front of the car, but as I suspected I did notice the difference in the rear. The car seems to set much quicker and turn faster now. Before the car felt like it had a little roll, then set a little slower in the rear in a corner, and that transition seems to happen quicker, and its more progressive thanks to the coil winding of the springs. I actually pitched the car in a corner I like to take and had vsa kicking on because the rear slid. Never had that happen before. Car is flatter and does feel like its on coil overs. Some have asked why springs?? For an aggressive street car the CR dampers are fantastic imo and it would be impossible to match the FEEL of the CR dampers with a coil over. Since I am unfortunately not tracking the car, I made the decision to get the looks right, and to not mess with the feel of the car. That and I was feeling cheap and did not want to spend over 2g's on a new suspension. Here is my updated review post spring install and alignment. The car is much more solid and I can feel the increased grip in the corners from the increased camber. I also am happy with the toe settings so far. I only did some back road driving where understeer was never an issue, but based on my drive I was really happy with the way the car performed. Car turns in very quickly and felt neutral all the way thru the corner and thru the exit. Granted I am on public roads and not pushing the car, and the types of turns I was taking I never noticed understeer before. Taking some on ramps at moderate speed the car def felt more neutral and I didnt need to use the throttle to steer the car. It is nice to have the car do what I want now, as opposed to having to drive the car a certain way to get it to drive the way I want. Springs impressions. As I said before the ride is much smoother now. Highway expansion joints and bumps on the highway are absorbed and are barely felt compared to stock. The back roads I were on are pretty torn up and like a washboard in certain areas. The car was FANTASTIC in those areas. Car absorbed the bumps and was fairly smooth. I had no traction issues or wheel hop coming out of bumpy corners. Compared to stock this was another big improvement. I never felt the car "skipping" over bumps. The car reacts and transitions much faster now. From turn in until the car "sets" has improved and quickened and inspires a lot more confidence. I am very happy with how the springs perform. Its not a huge improvement, but is very noticeable and the car to me feels better. I was far more comfortable pushing the car in corners as it felt more planted and stable and did not get upset by bumps mid corner. 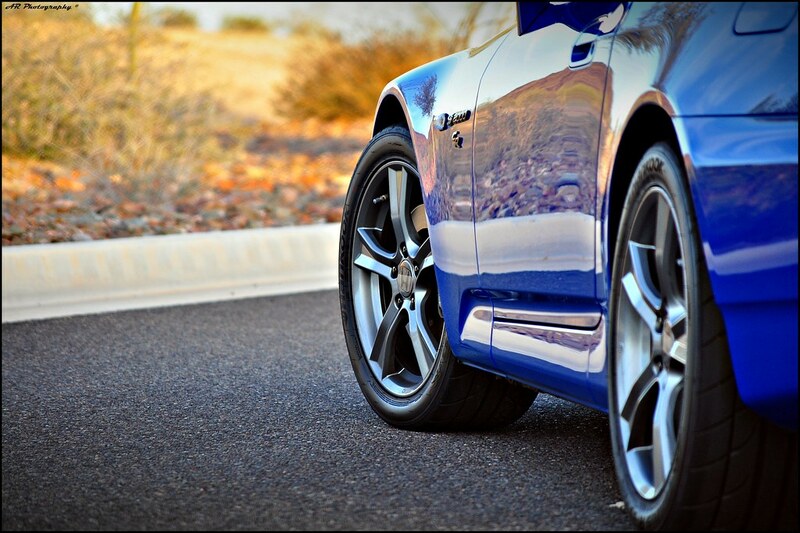 I also prefer a car that sets quickly as it makes me feel more comfortable and confident in the car. Again I cant say these are a performance increasing part and make the car faster, but I do believe that I could drive the car faster because of the feedback I get from the car now. Oh and, the car looks amazing!!! The ride height is about perfect, although I would not mind the front being a tad higher. The car looks proper and very sporty. I got lots of compliments from SOS and the other S2000 member that I went on the drive with. Car looks great! Only downside is I have to be more careful now, and the wheels are a bit too sunken in for me, but this is all about performance and not ruining fenders. Two pics and a short video of the road and me putting around. Obviously its a public road, with traffic, and we had some heavy rain earlier in the week and there was a lot of gravel down in places so I had to be leery of that. There is a point in this video where I slide a little through some gravel but I saw it and was ready for it. All in all had a fun day and I am really enjoying the car right now. For those without I/TP/E and a tune, take note how I short shift and am always in the power band. 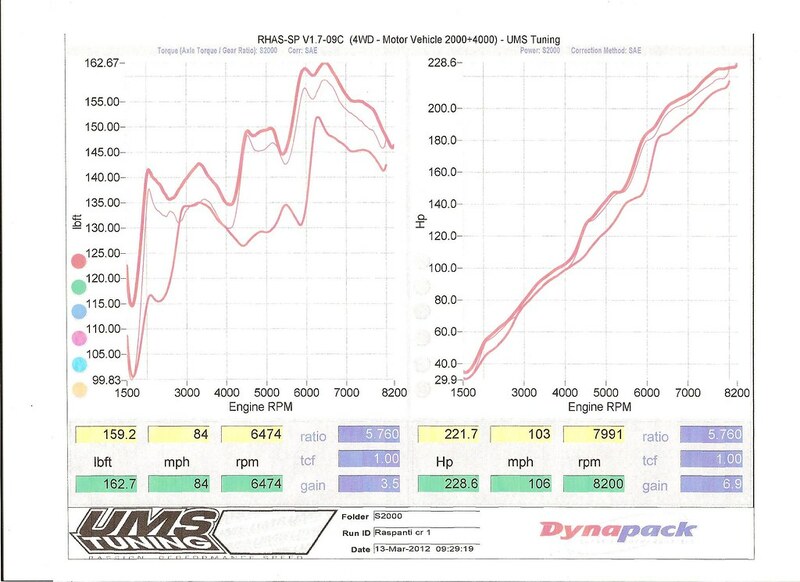 I dont really even use second gear that often before of the extra 30lb-ft of torque in the mid range after my tune. Here is my first video with the Hero2. I def need to tweak the setup, mainly in the sound arena. Just a short clip of my cruise. I def forgot and need to turn the radio off next time!! I also did get too much wind noise so I need an external mic or I will at least try the other case. My car is fairly loud so I think you will still be able to hear it when im on it. reserved I still need to go back and move some pictures around as they did not all fall in line. Nice post. 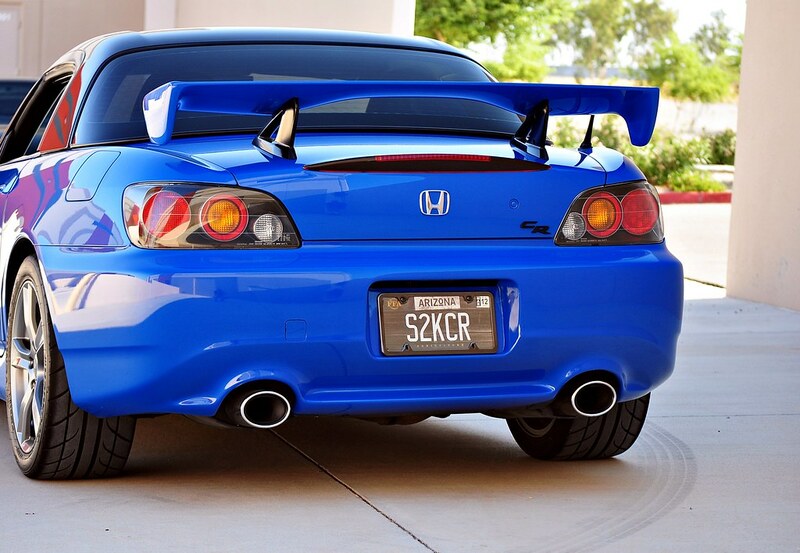 Both S2Ks are beautiful. Love the pics and cars!